Below is a list of homes for sale, if you would like to refine your search within 85043 you can easily do so here. This beautiful home is move-in ready! Home has great upgrades and has been taken care of inside and out. Ceramic tile throughout the home. Large open space great room. Open kitchen with ample counter space, reverse osmosis system for entire home. Large master bedroom with double sinks, his and hers closet space with bay window. Beautifully landscaped backyard with paversthroughout, custom ramada overseeing the common areas; ready for family BBQ or hangouts. Easy access to the I-10, 101 and 202 is coming next year! Don't missout on this great growing area! NICE AND CLEAN 3 BEDROOM 2 BATH HACIENDA BUILT HOME ( 2 X 6 CONSTRUCTION) . SPLIT BEDROOM FLOOR PLAN, LARGE LIVING ROOM WITH VAULTED CEILINGS AND GAS FIREPLACE, TILES FLOORS EVERYWHERE EXCEPT BEDROOMS. KITCHEN HAS LOTS OF CABINETS AND STAINLESS STEEL APPLIANCES . 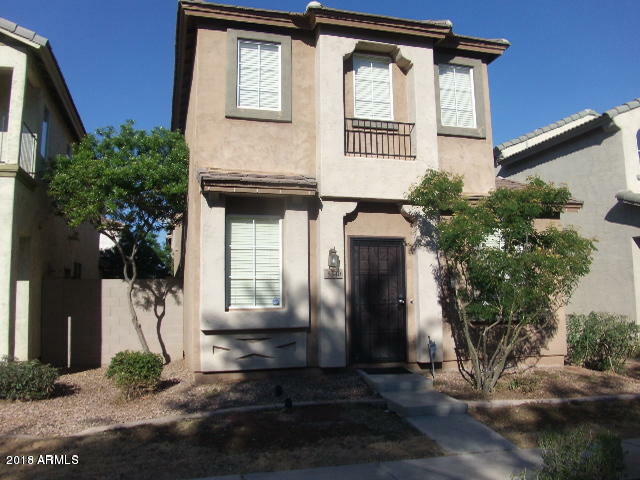 NICE SIZE MASTER BEDROOM WITH WALK-IN CLOSET, LARGE SPACIOUS MASTER BATH WITH DOUBLE SINKS. NICE BIG LANDSCAPED BACKYARD WITH GRASS AND FRUIT TREES AND BIG COVERED PATIO LARGE 7800+ LOT. Property is occupied on a month to month lease. Tenant is in 3rd year and would like to stay if possible. Kitchen appliances are less than 3 years old. One bedroom and full bath on lower level. Large master and laundry are upstairs. 2 car garage exits to alley in back. Side courtyard with door off living room. HOA maintains front yard. This wonderful 3 bedroom/2.5 bath home offers great excitement for your buyer with just the right charm! 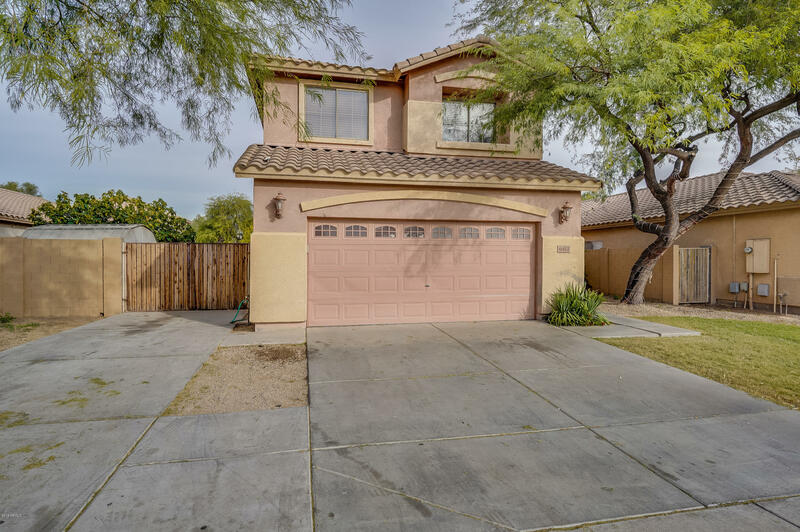 Located in the popular Darvante Community, this beautiful home features an open floor plan with high ceilings, attached 2-car garage, an amazing community pool/heated spa, playground/basketball/BB-Q area, close to shopping/freeway/entertainment. Water, sewer, and trash are included in the monthly HOA. This property will not last long and awaits your buyer turning the key to their new home! 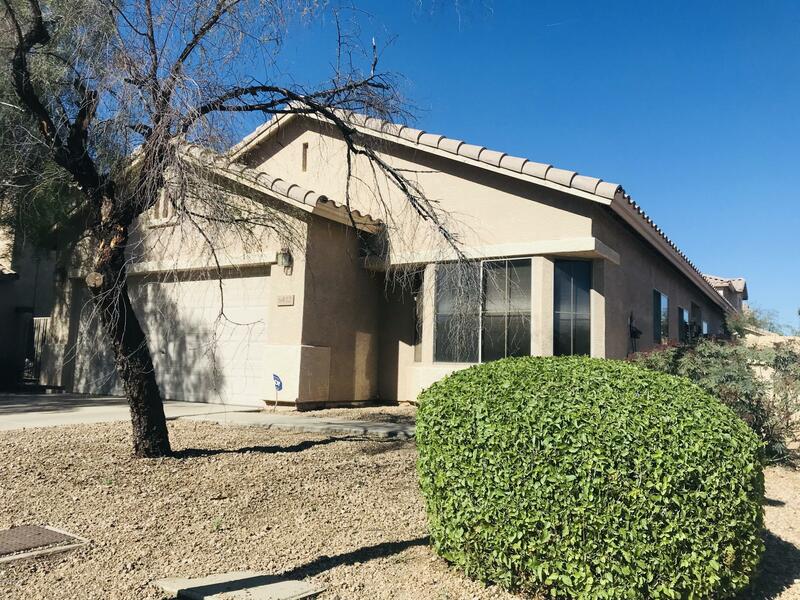 Beautiful 2017 built home has 3 bed, 2 bath, plus den home located in Tuscano. This Prescott floor plan showcases an Open Floor Plan, with a separate dining space and living room. The Master suite is complete with a walk-in closet, separate from kids bedrooms. Tile in all the right places, carpet in bedrooms & living space. As an added bonus, the Prescott has a spacious den off the entryway. Which can even be easily converted into a bedroom. Soft water system & reverse osmosis to convey as well. Front yard fully landscaped. This home is a dream come true! This is the one you have been waiting for! 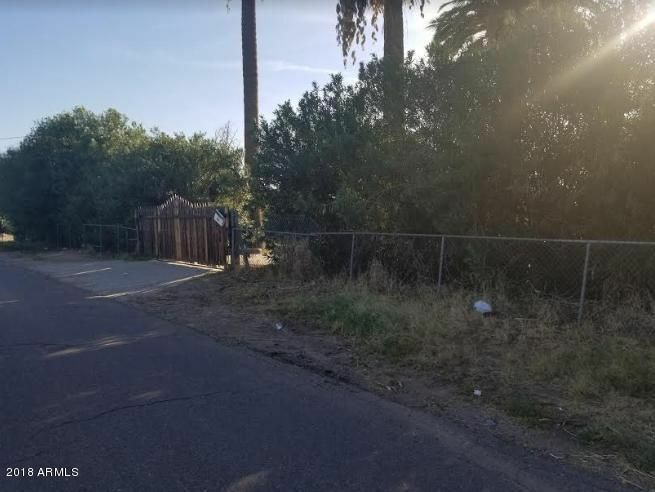 Beautiful single story home sits on a large corner lot. North/South facing. Great Curb appeal! Large courtyard, sunscreen and mature landscaping are just a few upgrades. Inside you will find a large great room with vaulted ceilings. Split floor plan. Master bedroom is large with big walk in closet and master bathroom with dual sinks and separate tub and shower. Eat in Kitchen with island and built in microwave. Formal Dining room is off the great room. Covered patio and TONS of space in back! Only One house from a greenbelt/park area. Cute as can be home across the street from Western Valley School! 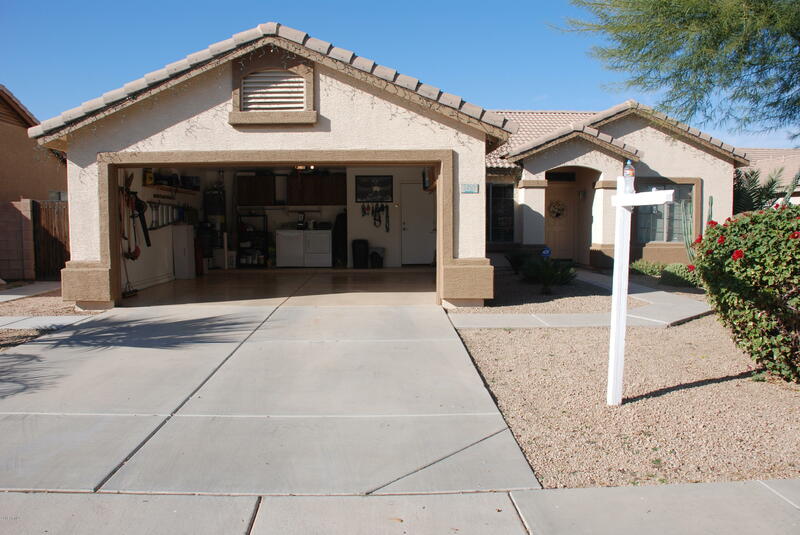 Freshly painted Exterior, nice 2 car garage, updated interior including NEW Appliances and kitchen cabinets. This darling two bedroom home has a den too! Close to the 202 expansion for easy access to the valley. RARE FIND! 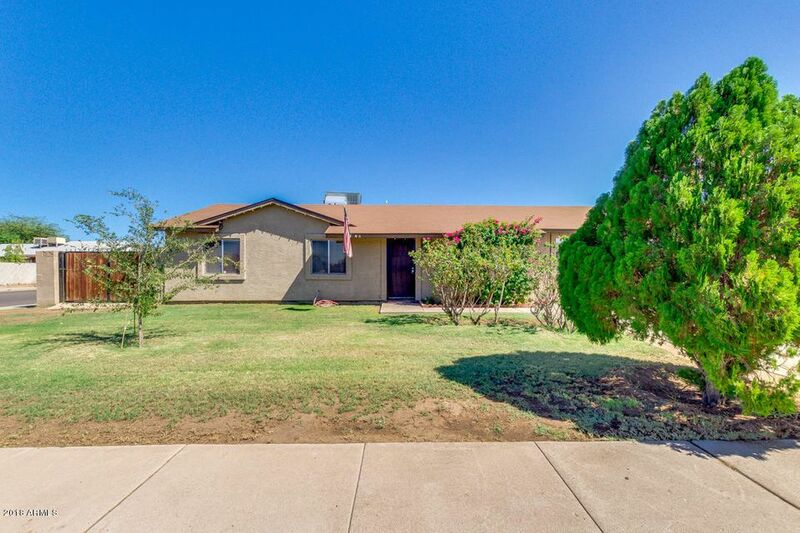 HORSE PROPERTY, IRRIGATED, GIANT HOME, PRIVATE POOL, GUEST HOUSE AND NEAR THE I-10? IT'S NOT A DREAM, YOU ARE AWAKE! THERE ARE A COUPLE OPPORTUNITIES HERE AND THERE TO ADD YOUR OWN PERSONAL TOUCH BUT THAT'S ALL THE MORE REASON TO SWOOP IN AND GRAB THIS HOME WHILE YOU CAN. WHY ARE YOU STILL SITTING THERE! COME MAKE AN APPOINTMENT TODAY. LET THIS BEAUTY SPEAK FOR ITSELF. Beautiful home! 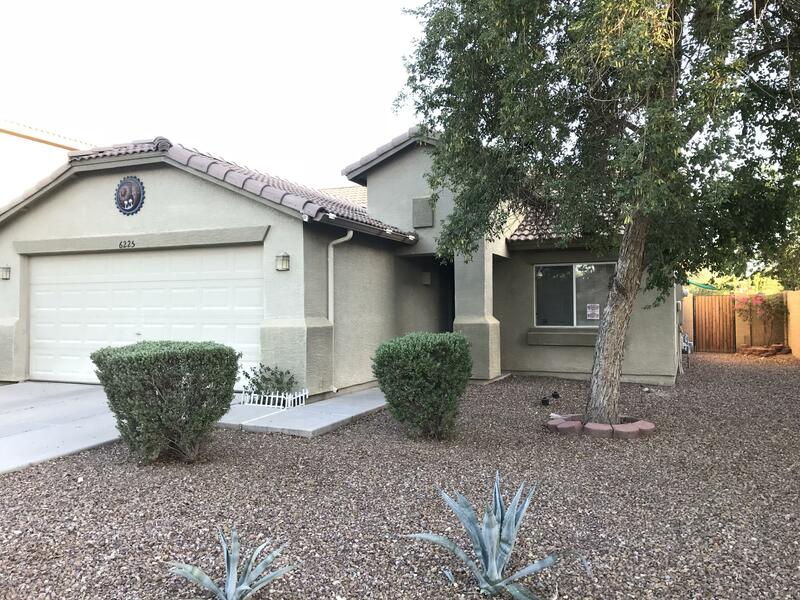 Featuring 4 bedrooms, 2.75 bathrooms,eat-in-kitchen, breakfast bar, tile floors downstairs,carpet upstairs,room down stairs, room down stairs, both front and back yards are landscaped, close to schools, shopping and close to I-10 freeway. Buyer to assume loan for solar panels. Ready for Move in! 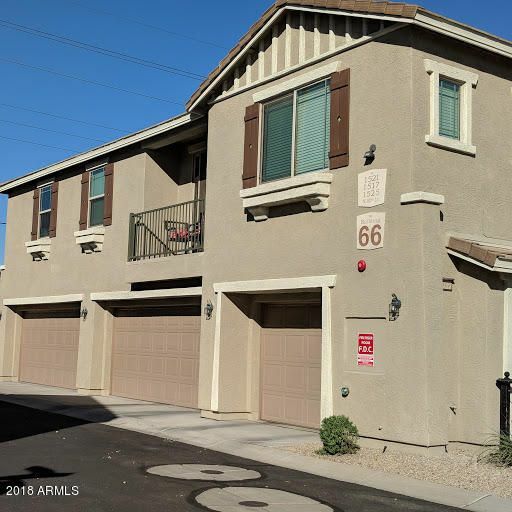 Beautifully featured 3bd 2ba open floor plan smartly designed layout, spacious great rm & eye-catching kitchen, center island, peninsula & adjacent dining rm. 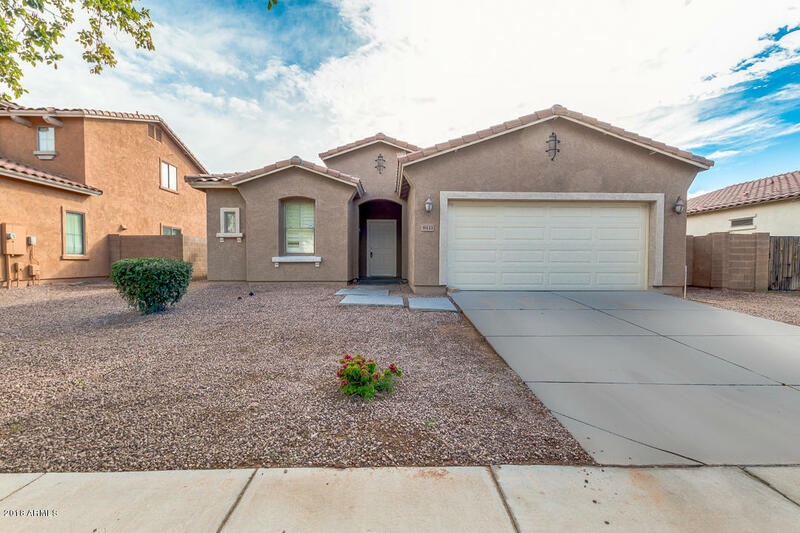 Newly remodeled kitchen w/ partial bath upgrades make this home MUST SEE! White shaker cabinets w/ gorgeous black pearl satin countertops & mosaic backsplash feature combination of glass, integrated w/ honed & polished natural stones. Top it off w/ brand-new stainless-steel appliances for dream kitchen you always wanted!! Freshly painted, tiled throughout (newly stained grout) including new carpet give you that new start!!! Includes a relaxing master suite w/ private full ba, separate tub/shower - double sink vanity. 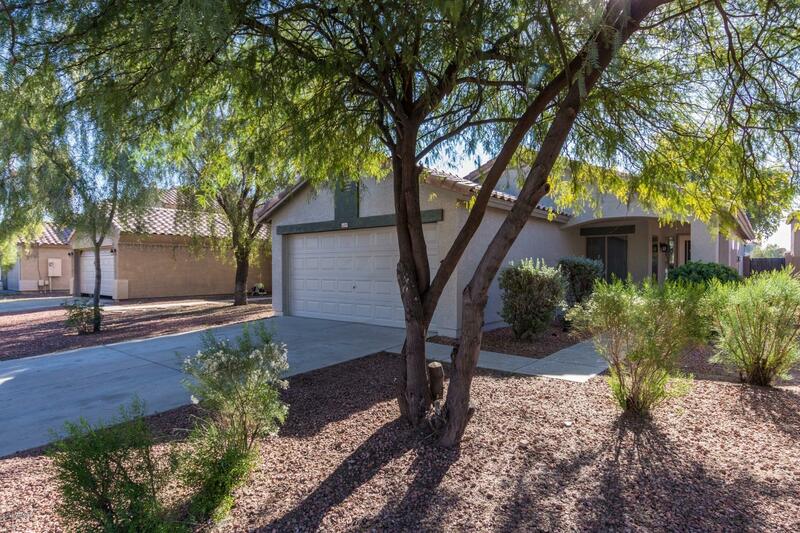 Featured 2-car garage w/ brand-new garage door, paved & landscaped backyard a pleasure to host BBQ! 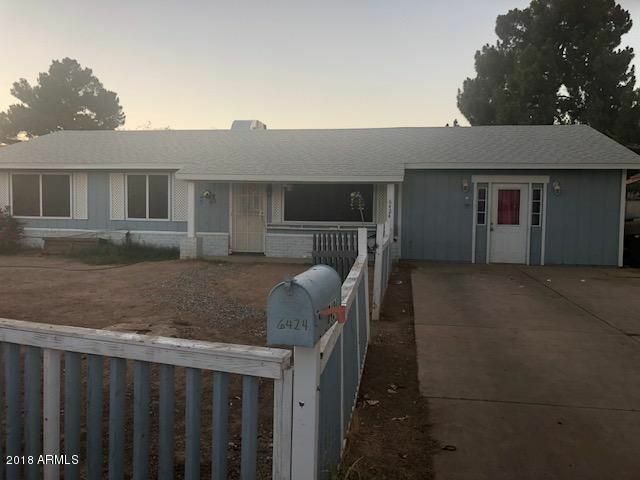 Unique Horse property Super close to I-10 and new 202. Old burned Mexican Hacienda to be restored-old Mexican brick walls still in tack & remain on 2400 sq ft main house (non-liveable now), 4 horse stalls, Covered patio, Covered 800 sq ft dance hall,covered breezeway. Hugh RV parking area w in ground auto lift. 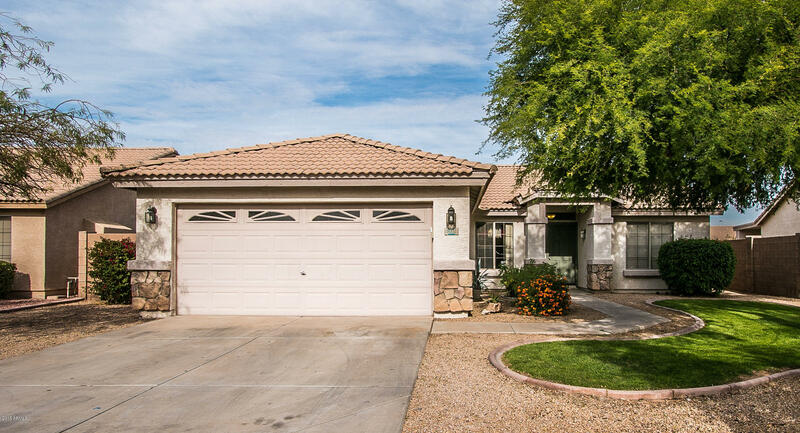 Separate 2 car garage & 2 story 1,200 sq ft 4 bedroom 4 bath guest quarters, (non-liveable). Back half of acre vacant pasture land. Property sold in present conditions. Owner has never lived in property and makes no warranties expressed or implied. This house was once a show place built in 1945. The right person can bring it back. A must see.